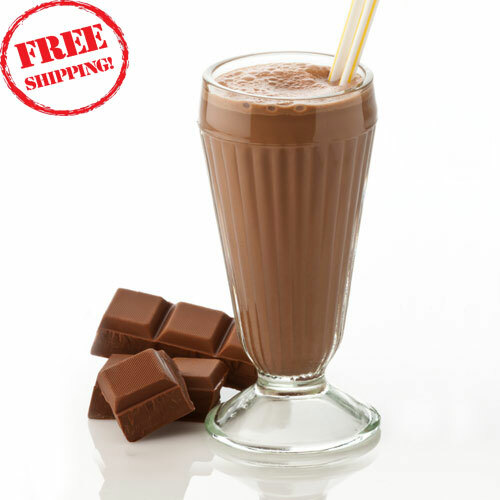 Discover why Oz Soylent Chocolate is our best-selling flavor. Rich cocoa powder is mixed with Australian-grown oats and other healthy ingredients to craft a balanced and delicious liquid diet meal. Oz Soylent Chocolate blends into an easy-to-drink meal and is ideal for drinking during the morning commute. You save time and avoid cooking with this meal. A daily serving provides 8160 kJ (1950 Cal) for a nutritious, balanced, and tasty meal. Oz Soylent Chocolate is vegetarian. 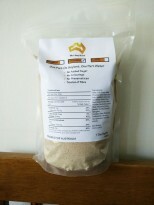 Our best selling Oz Soylent variety. All our ingredients are sourced locally in Australia as much as possible. 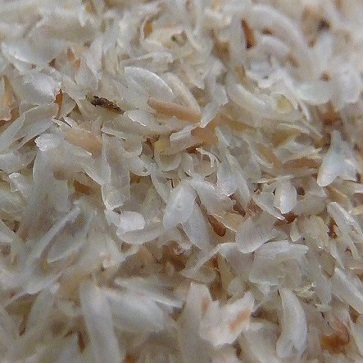 Our main ingredient, oats is also grown in Australia. Daily pack of Oz Chocolate Original contains 8160 kJ (1950 Cal) and is vegetarian. Thinking of trying OzSoylent? 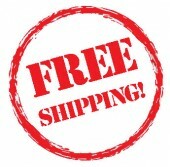 This is a good place to start. There is literally one review available on Reddit comparing OzSoylent to other Australian brands and it marks OzSoylent as the lowest of five tested. I don’t agree with this statement. I started with this flavour because I wanted to give Soylent a try. Don’t believe the pictures. 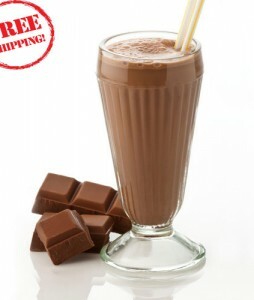 Chocolate OzSoylent does not look like that when mixed/poured. 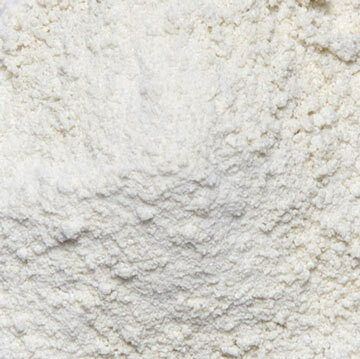 It’s an off white color that matches the color of the powder in the bag. It’s also difficult to gauge a chocolate flavour because OzSoylent isn’t sweetened or anything, they just add cocoa powder. I’ll be honest, my first impressions of this product made me gag a little because I was expecting something like those Tetra Pak protein drinks and what I got was lightly flavored cement. They’ve probably heard that from more people than I because the newer bags say to put about 50% more water in and to leave it for 10 minutes to get a ‘smooth texture’. I throw 120g in a blender, fill it up to the 750mL mark with cold water, mix for a minute, leave for 10, mix for another half a minute or so and then drink. 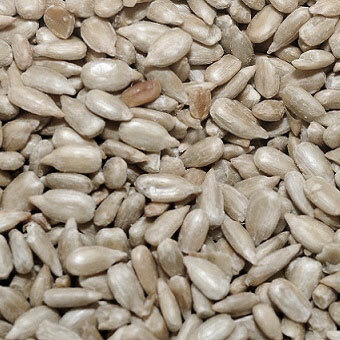 This has greatly improved the texture of the product and allows you to focus on the flavour. I ended up switching to vanilla. Definitely my favourite OzSoylent flavour out of the 3! It is true that there’s no sugar added, and the subtle chocolate flavours come from cocoa powder. 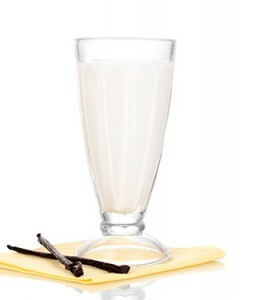 However the taste mixed with the milky oaty texture makes this a real contender for liquid breakfast alternative. I used to have Up & Go for breakfast and have shifted to this since, but Up & Go contains so much sugar I’ll rather get a Coke! OzSoylent texture is the thing I took sometime to get used to. 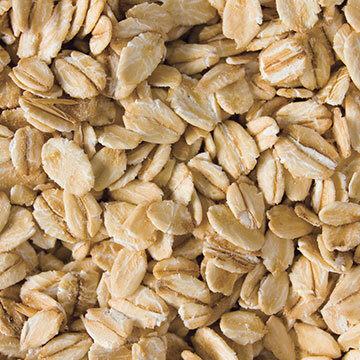 It feels like eating a blended bowl of oats, which I don’t mind at all. It is also filling I have this for breakfast and I feel full until lunch. 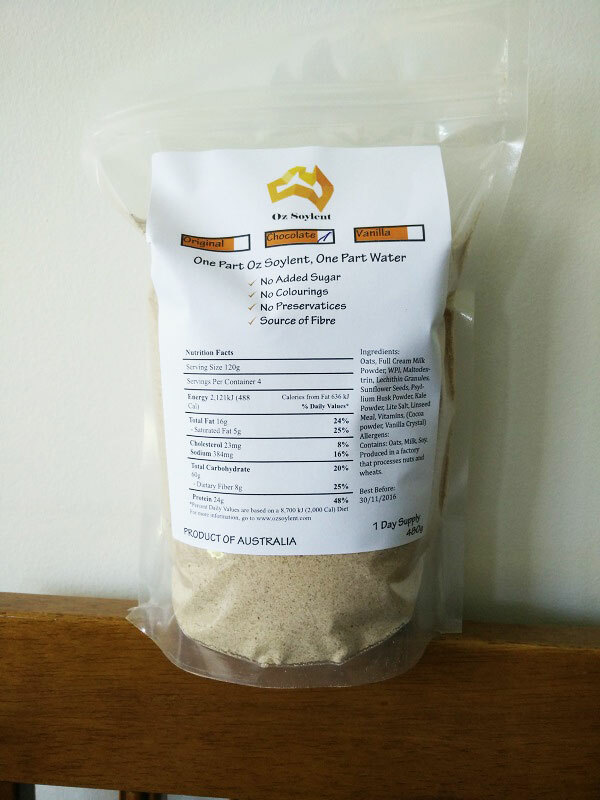 I have tried the few Australian made soylents, Aussielent, Apocalypse Chow, and Oz Soylent. Whilst not the smoothest in texture, I find Oz Soylent easiest to drink, it hits the right spot for sweetness and pleasantness. There is also recommendation on the package of letting it stand for a couple of minutes for smoother texture, it works well for both breakfast and lunch when eating at the desk is the only option. This Chocolate flavour is definitely my go to for quick meals. After trying the original and chocolate variant, this is still my favourite. Being sugarless, the meal can feel slightly salty. I personally prefer adding some sugar on this.